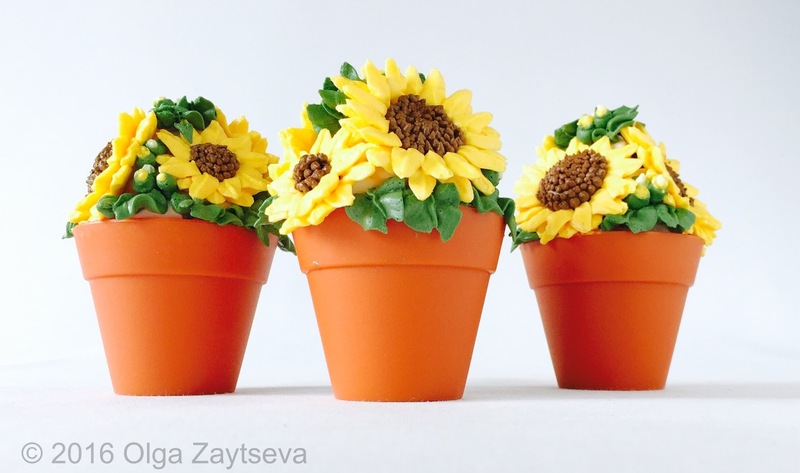 Learn how to make very trendy buttercream Sunflower cupcake mini garden. 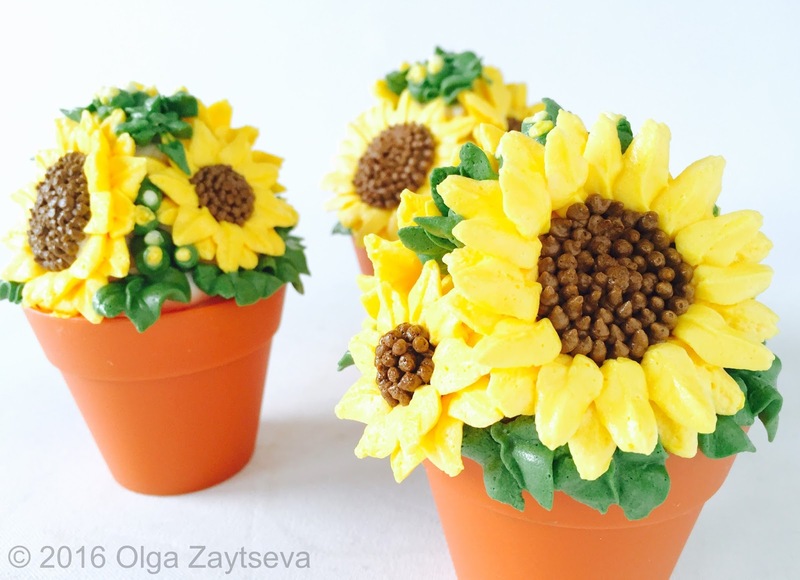 Hi Olga, just love ur buttercream art and the way they keep their shape. Good going,! 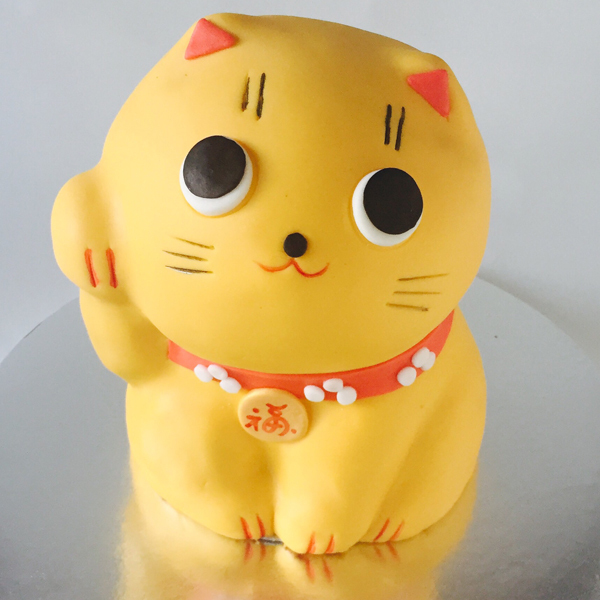 Do you normally use swiss maringue buttercream for all ur decor and is there a specific brand colours that you use to bring the vibe out?